Improving literacy starts with letting students select the books they want to read. 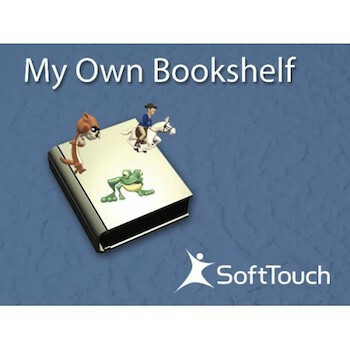 With SoftTouch's My Own Bookshelf authoring tool, you can easily create virtual books for student reading. 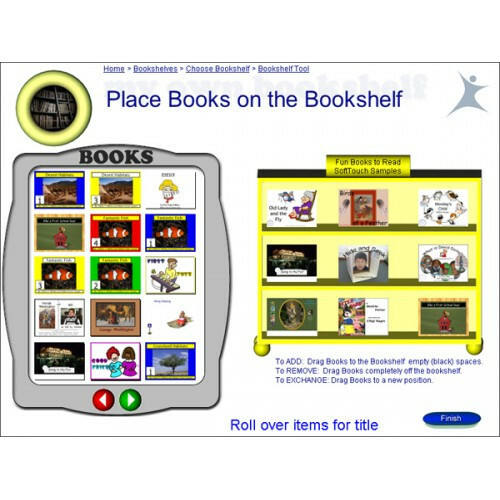 The page design application walks you through creating books and placing them on virtual bookshelves. When it's time to read, students select the book they want using the easy-to-use reading tool! Want to know which books your student likes best? My Own Bookshelf even collects data on each students reading experiences. Increase literacy experiences. Listen to and read stories independently. Improve control and attending skills. Auditory scan for 2 switch step scan. Highlights word-by-word when reading books with a computerized voice. Input your own text, images, video and sound. Automatically provides text-to-speech to every text box. Special feature to read with one computer voice for all books without changing the original books.